Gold is one of the most scarce, valuable and precious metals in the world. Unlike other metals, gold does not corrode, rust or decay. Hence, to humans, it represented immortality and power. In fact, in olden days, gold coins were used as currency. The person who possessed the most gold was the richest and most powerful person in the world. And this is probably true today also, as it is those who hold the most wealth that have the most influence in the world. And they shall make an ark of shittim wood: two cubits and a half shall be the length thereof, and a cubit and a half the breadth thereof, and a cubit and a half the height thereof. And thou shalt overlay it with pure gold, within and without shalt thou overlay it, and shalt make upon it a crown of gold round about. And thou shalt cast four rings of gold for it, and put them in the four corners thereof and two rings shall be in the one side of it, and two rings in the other side of it. When we understand that all natural things are simply symbols for spiritual realities, we are able to understand what all this means in REALITY. 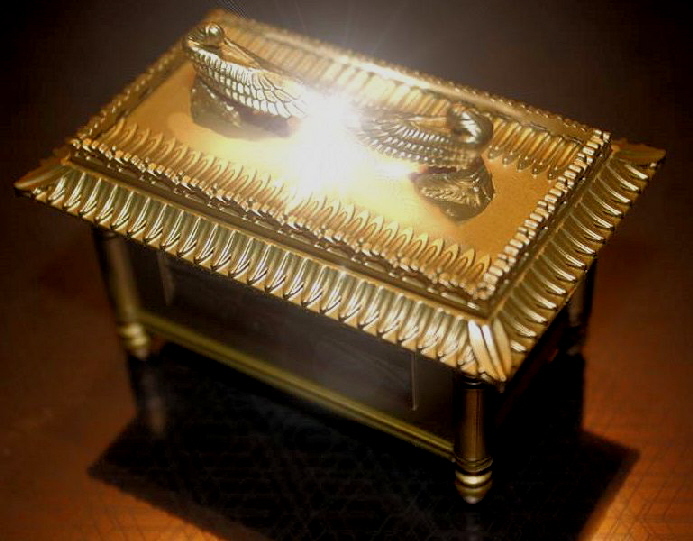 The ark of the covenant contained the Ten Commandments or the Golden Rules or Laws of Heaven. And Moses was to gather and combine all the spiritual gold or Love from the Children of Israel (Spiritual Truth) to produce a symbol that would conjoin them to Heaven and the Lord. This was the covenant by which the people were conjoined with Heaven and the Lord. Aaron, the High Priest communed with God above the mercy seat. And this mercy seat was made of pure gold because God is all Love and mercy. The Golden Age was an age when humans were conjoined with God and Heaven by means of Innocence or Celestial Love and Truth. In the Bible, we also learn that, during the reign of King Solomon, there was an abundance of gold in the land. This was because the reign of Solomon represented a state of human consciousness where the human heart is ruled by the Lord’s Celestial Love. Natural affluence and abundance is caused by spiritual abundance or Love through correspondence and influx. The ark of the covenant as well as the human body are structured according to the Golden Ratio because this ratio is in correspondence with the spiritual ratios or rational and moral values of Heaven. When the Israelites were left forty days without Moses, they molded a golden calf from the gold of their earrings and began to worship it. Such idols they had already worshiped in Egypt. Ears correspond to obedience. Thus the Israelites had reverted to obeying the sensual rituals and superstitions of the natural world and ignored the spiritual realities of faith, love, justice and usefulness. Gold is yellowish in color like the Sun because it corresponds to the Celestial Love of the Spiritual Sun in Heaven. 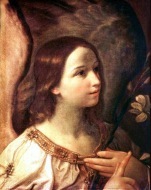 The Golden rule is “love your brother as yourself” or “do unto others as you would have them do unto you.” This is the Law by which angels live in Heaven. It is interesting that leaves arrange themselves according to the Fibonacci sequence, the Golden ratio or the Golden Rule. 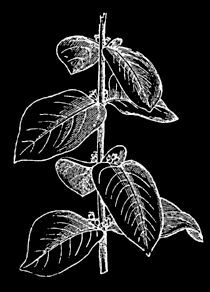 They grow and arrange themselves so that each leaf receives as much Light from the natural sun as possible. When individuals in a society live and behave according to the Golden Rule, every individual receives as much spiritual Good from the Spiritual Sun as possible. When we only value natural gold or the vanities of the world, we produce a society that is based on greed and fear. Such a society is connected to the disorder and selfishness of hell and characterized by conflict, violence, war, disease and poverty. But, when we understand that natural gold is simply a symbol for spiritual gold or Love, we realize that Love is what is truly valuable in the universe. And, a society that is based on the Golden Rule or faith in God, trust, usefulness and mutual Love is a society that is conjoined with the Reality of Heaven. Such a society is characterized by social harmony, health, prosperity and Peace. We may possess a large amount of natural gold in the world but we will not be able to take any of it with us when we die and return into the spiritual world. The currency of the spiritual world is spiritual gold or Love. Hence, we should try to generate as much spiritual gold as we can before we leave. And we can only generate Love within us by understanding what is True, intending what is Good and doing what is useful to others. In Revelation 21-22, John saw the Lord’s “New Church” or “The New Jerusalem” as a Golden City.